Home Page - Robinson Service Inc.
With over 50 years of experience, we're prepared to answer any questions related to your project. We offer a full range of services, from dewatering to wind farm cable installation. Robinson Service Inc. has been a family business since 1966—over three generations. We care about your project's needs and getting the job done right. We're prepared to deliver a wide-range of services customized to fit your unique needs. If you don't see a particular service listed here, please contact us. 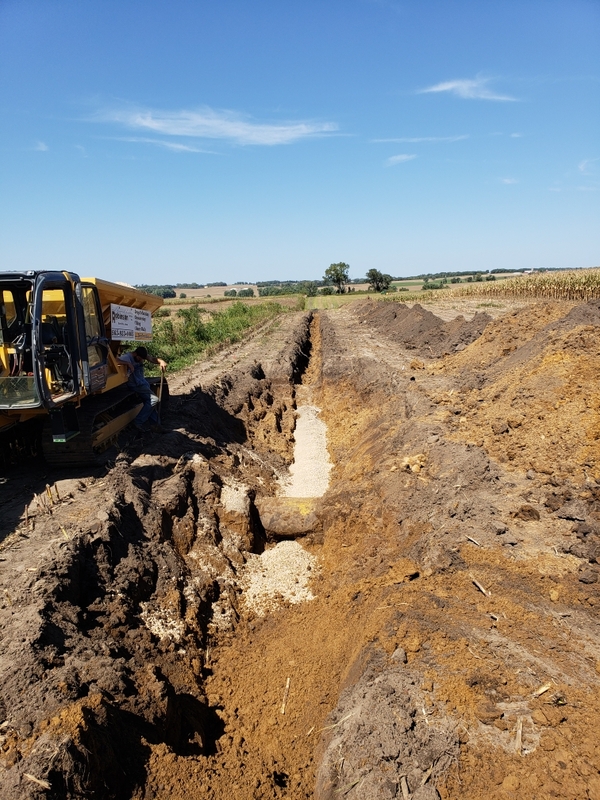 Plowing in tile, gas lines, dual wall pipe with flexible liner, wind farm cable, etc. We're prepared to complete deep trenching, dewatering, and farm tiling projects. We're also equipped to respond to a range of custom projects, from slurry walls to wind farm cable installation. If you don't see the service you're seeking listed here, just ask. Robinson Service, Inc. is a family owned & operated business based in Earlville, Iowa. The business was founded by Wilmer “Bill” Robinson in 1966. Bill was a leader in agricultural conservation practices including contour farming and tile-drained terraces. Bill’s son Duane became president of the family business in 1994 and continues to run the business with his son Brent Robinson, today.